The tour squad departs today (11 June) from Canberra. Photo: Photox – Canberra Photography Services. The Plus500 Brumbies will head to Tokyo today (11 June) to take part in the week-long Chichibunomiya Minato Rugby Festival to celebrate rugby in Japan and to promote the sport. 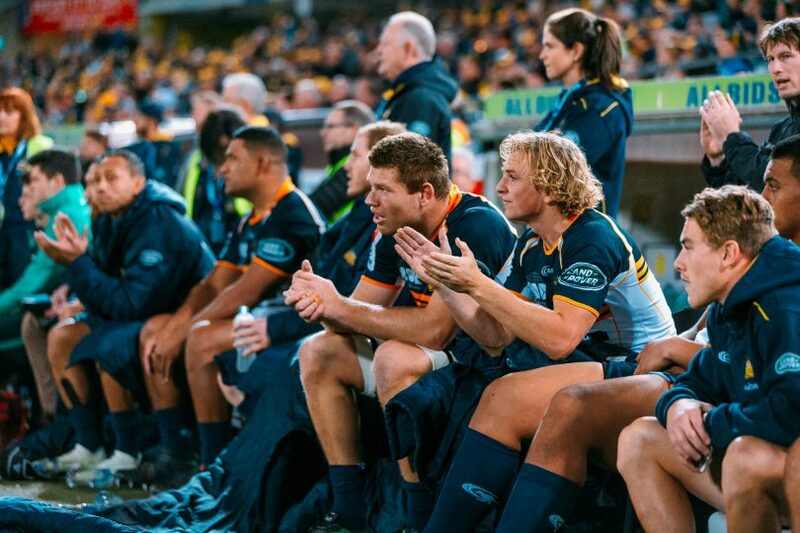 The Brumbies have announced their 24-man squad headed to Japan for the festival which includes a showpiece clash against the Japanese champions on Sunday afternoon. As part of the festival, the Brumbies will play a match against Japanese Top League side Suntory Sungoliath in Tokyo during a break in their Super Rugby schedule. The Plus500 Brumbies rivals, the Waratahs will also take part in the rugby festival, with the NSW side facing NEC Green Rockets before the Brumbies match-up with Suntory. It’s not just about the rugby for the Australian tourists, however, with the Brumbies visiting schools as well as enjoying a visit to the Australian Embassy in Tokyo and a reception dinner held by the Japanese Rugby Football Union. The tour squad departs today from Canberra and will be joined later in the week by a delegation of Brumbies fans on the club’s Official Supporters Tour. The fans making the trip will get to visit the team during training and will have access to the squad at several events throughout the week. The match will be broadcasted live on Japanese television. Tags Chichibunomiya Minato Rugby Festival Japanese Rugby Football Union Japanese Top League NEC Green Rockets NSW Waratahs Official Supporters Tour Plus500 Brumbies Suntory Sungoliath super rugby.